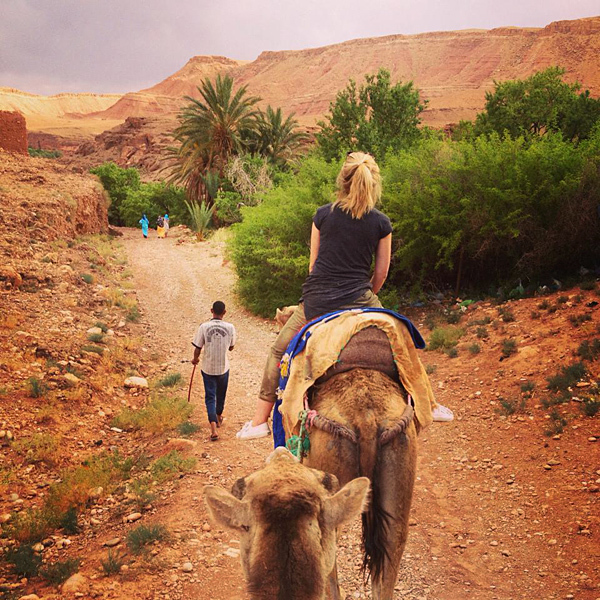 At the beginning of the summer, Acting Assistant Editor Melissa embarked on a mini Moroccan adventure with her friend Roberta. 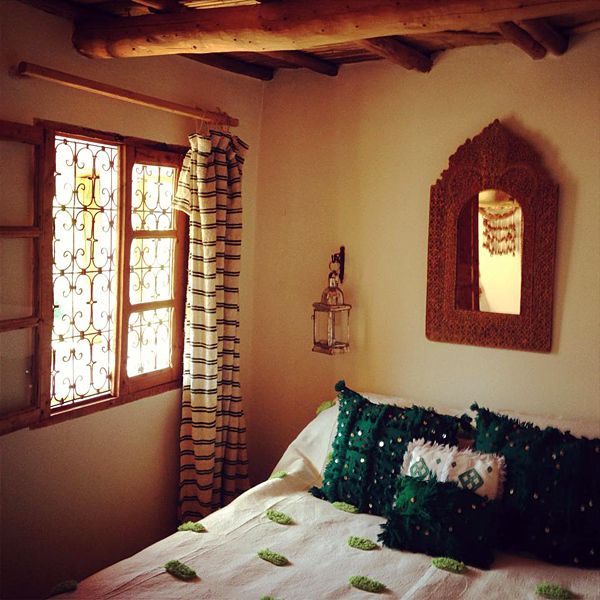 As well as exploring Marrakech (insights coming soon), they stayed in 2 surprisingly similar guesthouses in 2 strikingly different Moroccan landscapes. 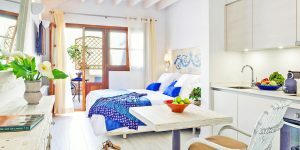 Both offered a homely welcome, enchanting accommodation and great-value for money while also displaying a strong relationship with their local community. Here, she takes us on a whistle-stop tour of their highlights. 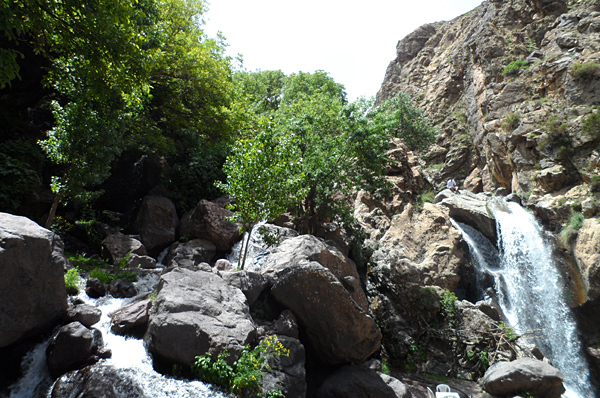 After arriving in Marrakech, it was an easy 1-hour drive through the Atlas Mountains to Imlil, a centre for international trekkers. 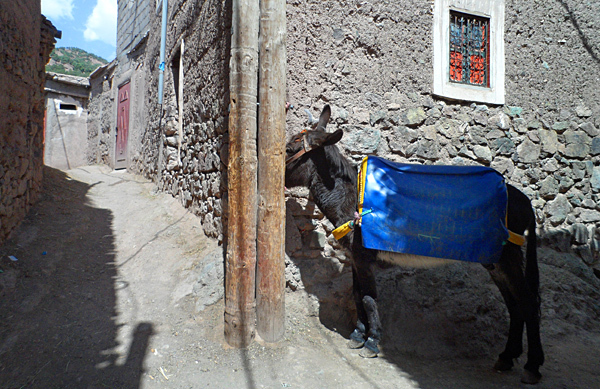 But we weren’t at our destination yet; in order to reach our first base Douar Samra, we had to ascend a dried-up riverbed on foot or by donkey to the tiny Berber village of Tamartet. We went for foot, despite knowing full well that pull-along suitcases and dusty gorges don’t mix. Thankfully our hosts were waiting with plenty of mint tea and sweet biscuits at the top. We stayed in Douar Samra’s main building and were wowed by our beautiful room. Disclaimer: if you want mod-cons, go elsewhere. Instead we found a rustic fireplace, mesmerising mountain views, colourful woven cushions, and countless lanterns for after dark. That’s right, no electric lights. 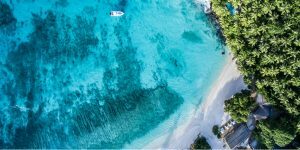 We loved it, although we’d recommend laying out everything you need for bed before dinner – riffling through yor suitcase is no easy task by candlelight alone. Somewhat surprisingly, there was free WiFi throughout – perfect for making our friends back home jealous! 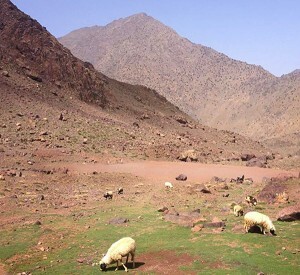 While here we embarked on an easy guided hike to a nearby waterfall, via mountain peaks and North Africa’s highest football pitch (complete with sheep spectators). Then it was time to bask in the sun and soak up the far-reaching views from Douar Samra’s roof terrace. French owner Jacqueline is often also found out here, along with her delightful shih tzu companions. A pillar of the community, she works entirely with the local people to run and maintain the guesthouse – no wonder the authentic 3-course tagine suppers taste so good! Later in our trip we headed south through the Tizi n’ Tichka pass towards the Sahara, stopping in the expansive ochre landscape near Ouarzazate. 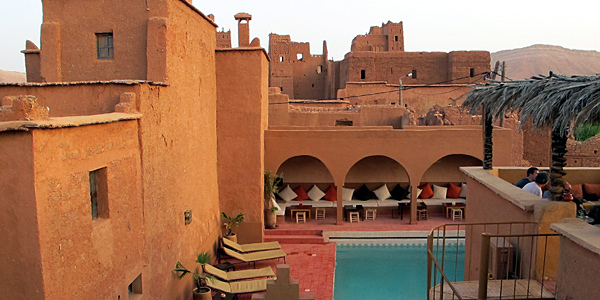 An area of such biblical beauty called for a truly unique guesthouse, and the ancient mud-brick architecture of Kasbah Ellouze rose effortlessly to the challenge. 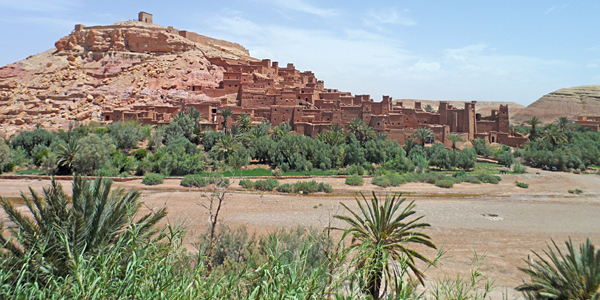 Though just 3km from the famous UNESCO-listed Ait Benhaddou kasbah, in the remote village of Tamadaght, it feels like a world away. While its movie-star neighbour had a constant rotation of tour buses and faux-friendly shop owners, here we were met by curious children freely roaming the pathways and just one (somewhat sleepy) shop owner. 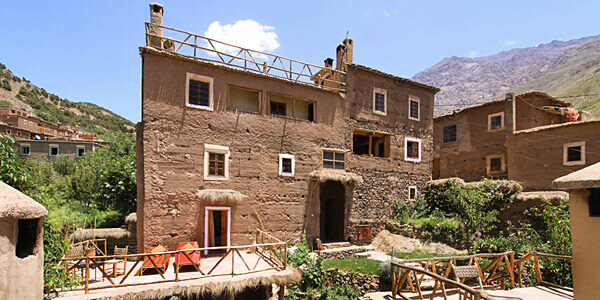 Kasbah Ellouze’s French owners Michel and Colette live on site, as do a quartet of camels ready to take guests trekking through the dusty landscape. We took a short ride at dusk, during which we saw historic troglodyte caves, a stunning sunset and more of the surrounding village. Our favourite day was spent walking the desert road to Ait Benhaddou before rewarding ourselves with an afternoon by the pool, complete with chilled mint tea and tasty snacks. In the evening, we dined on a creative 3-course dinner including fig and chicken tagine (and homemade ice cream for pudding), before gravitating towards the roof terrace to star-gaze and put the world to rights over a delicious bottle of Moroccan wine.